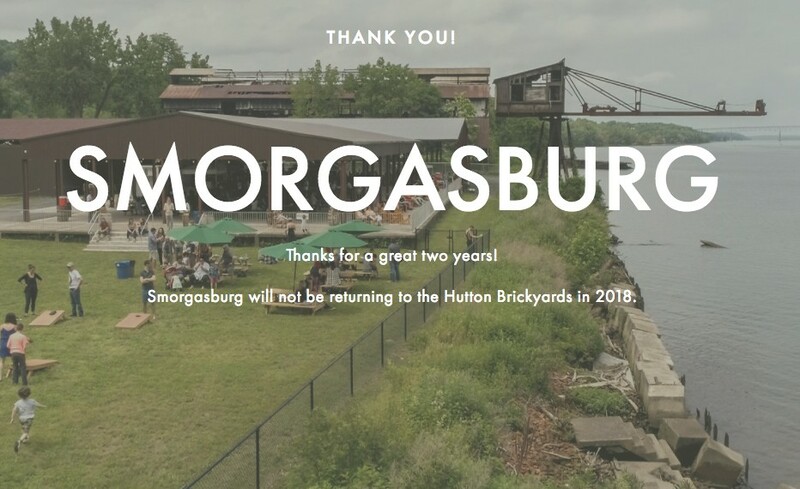 Visitors to the Upstate Smorgasburg website were greeted with a notice on Friday morning (January 12), that "Smorgasburg will not be returning to the Hutton Brickyards in 2018." Smorgasburg cofounder Jonathan Butler spoke with Chronogram on Friday afternoon about the decision not to bring the food festival/flea market back for a third year on the Kingston waterfront next summer. "Basically, we didn’t get to the scale and frequency that it needed to be to make it a viable business," said Butler. Referencing the enormous crowd that swarmed Hutton Brickyards on Smorgasburg's debut in August 2016, Butler said, "We needed to stay a lot closer to what opening day was like. Last season was pleasant and fun, but it never got as big as it needed to get and we didn’t see that changing anytime soon in a dramatic way, so we made a practical decision." When the heavily anticipated Upstate Smorgasburg debuted in 2016, the "Woodstock of Eating" (New York Times) happened every Saturday. After its blockbuster launch date, with over 5,000 people attending, diminishing attendance led organizers to consolidate the event to one weekend a month in 2017. Even converting the event to one weekend a month was not enough to solve some of the challenges facing Smorgasburg, which was solely an urban phenomenon before its upstate outpost. Smorgasburg ran into a problem well known to event producers in the Hudson Valley—the region lacks the population density of large urban areas like New York and LA (Smorgasburg's LA market, launched in 2017, draws to 8 to 10 thousand people a weekend, according to Butler), and events that occur annually—Mountain Jam, the Sheep and Wool Festival, county fairs—are the only events likely to draw crowds in the thousands. Recurring events just can't compete. Upstate Smorgasburg at Hutton Brickyards on the Kingston Waterfront in 2016. "It's very different than doing it in the city," said Butler. "A lot of the mindset up here is tied to beloved events that happen once a year that get everyone so excited. There was a lack of urgency to go to Smorgasburg because you could always go later." A related obstacle: finding Smorgasburg's core demographic. "One of the hardest things was how diffuse the target audience was and the difficulty of reaching them by media," said Butler, noting that a single story in New York magazine could energize interest in the original Smorgasburg, while multiple stories did not have the same effect for its upstate cousin. 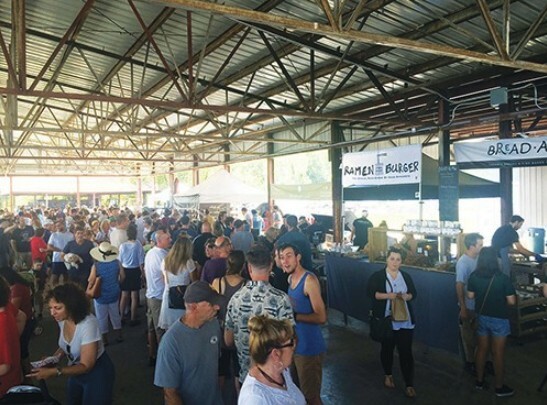 Looking back on Smorgasburg's brief tenure in the Hudson Valley, Butler is sad that the market's rural experiment is ending, but he's pleased that it played an integral part in the revitalization of Hutton Brickyards. "It was a passion project for me," says Butler, who lives in Brooklyn but has ties to the Hudson Valley. "The Hutton Brickyards is an adaptive reuse project, and part of our mission was to activate the site and bring it forward to host other events." If the two Bob Dylan concerts last summer are any indication, than Butler achieved some of his goal. Additionally, Butler praised Kingston Mayor Steve Noble, in particular, for clearing the way for Upstate Smorgasburg to run smoothly. "The mayor and his team were amazing in getting this project off the ground and supporting us in cutting through the red tape," said Butler.